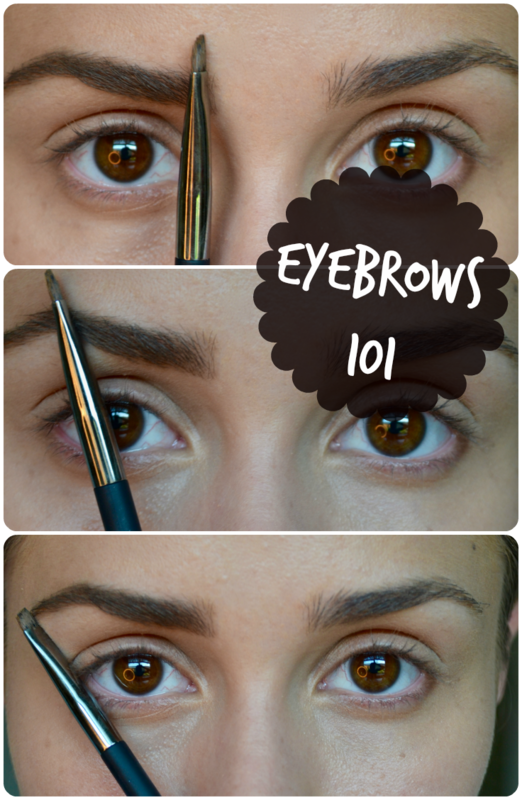 Having great eyebrows doesn’t have to be a hard thing. Just like anything else, maintenance is key. My eyebrow routine is pretty low-key. I get them waxed once every two months at the Brow Bar at Ulta Beauty and in between I maintain them by cleaning and trimming them. So how do I maintain them? Pretty simple, you see the above picture? This should be your guide on how to shape them. Where you should start, where the arch should be and where to end. When you are using this guide make sure to hold your pencil (or brush) at the side of your nose. Note: Also make sure to keep your eyes straight, this is VERY important when deciding where your arch should be. Now on to filling them… always, ALWAYS go for a shade lighter and use small strokes (I like to use my Waterproof Fiber Creme from IT Cosmetics). 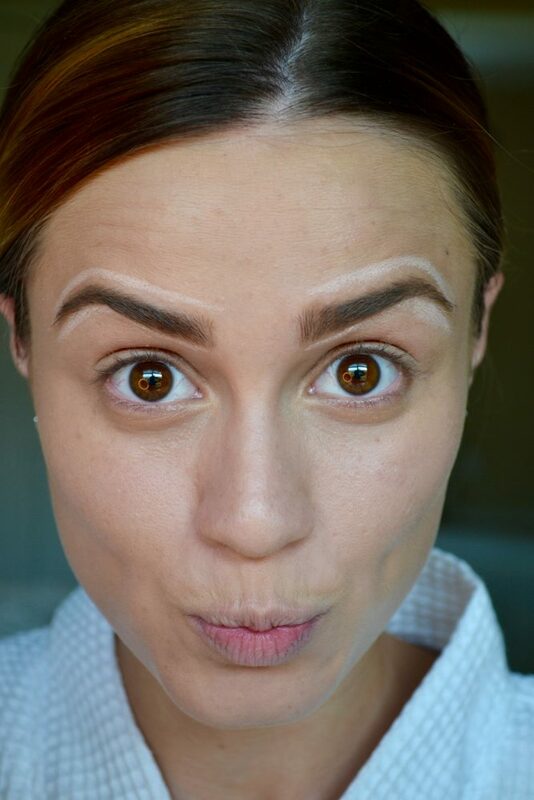 Once you are done filling your eyebrows in make sure to brush them to remove the harsh lines, try not to go over board on lining them also! 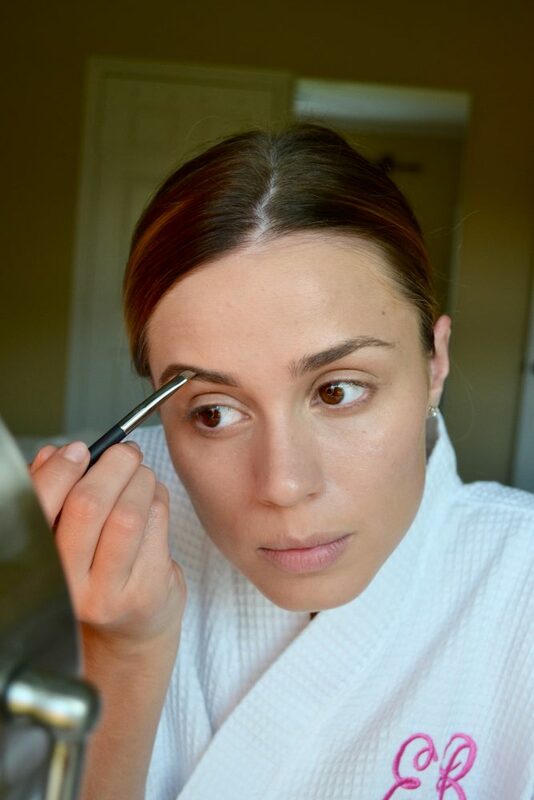 Here, I am using the It Cosmetics Brow Brush No.12 – Best brow brush in the game if you ask me! 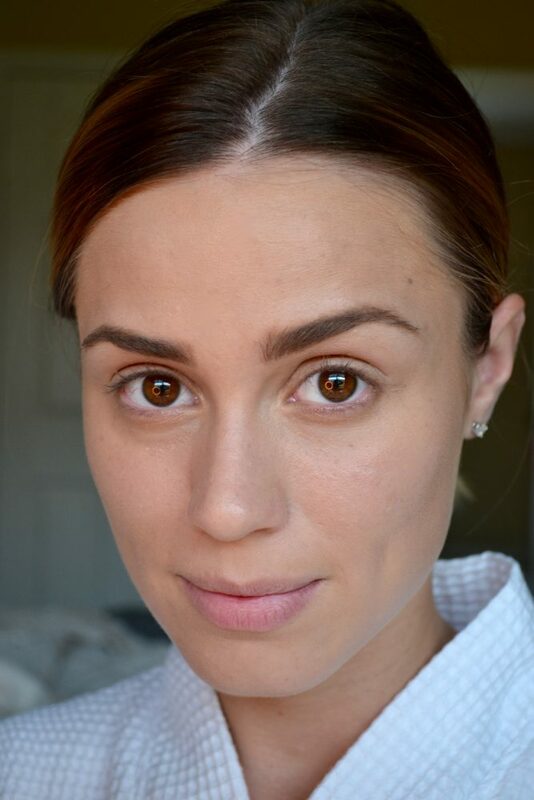 Last but not least, if you really want them to pop use a highlighter pen like this one and blend it in on top and beneath the eyebrows (see below). See? Super easy and not complicated at all! I hope this helps you in getting your eyebrows #onfleek and if you have any questions or comments make sure to do so below, I’de love to hear from you! Can we also talk about these adorable matching monogram robes? A special thanks to The Monogram Shop for sending us these robes to wear at the hotel while we got ready for our girls weekend trip in Dallas! These robes are peeerfect for the holidays and great for a gift! Best part is they are under $50! Love this! Eyebrows on fleek for sure. I want to do an eyebrow routine video soon. 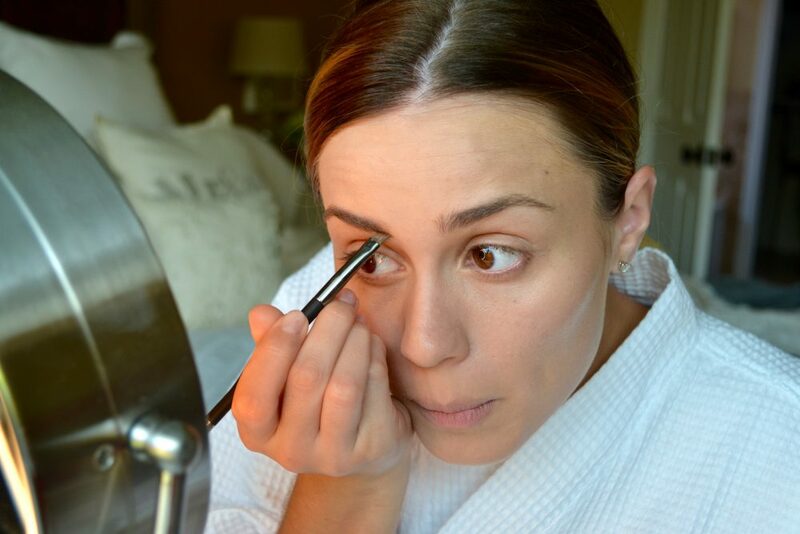 I need to try that It Cosmetics stuff… I have the brow power pencil and love it. Haha, I have had my share of tweezers too girl!